Adding Heated Seats To Your Car, Truck, or SUV? We Do That! There are few things more comforting than walking outside on a cold winter morning and getting into a toasty warm car. The staff at Nu Image Audio are your Central Kansas remote starter experts. One option that a lot of customers have been asking about is adding heated seats to a vehicle. We do this all time! Let’s check out how it works. Adding heaters to seats is a simple process in concept. Our seat heater kits include two heating element pads, a control switch and the wiring we need to install the system in your vehicle. Where the concept evolves is the removal and disassembly of your seat covers. 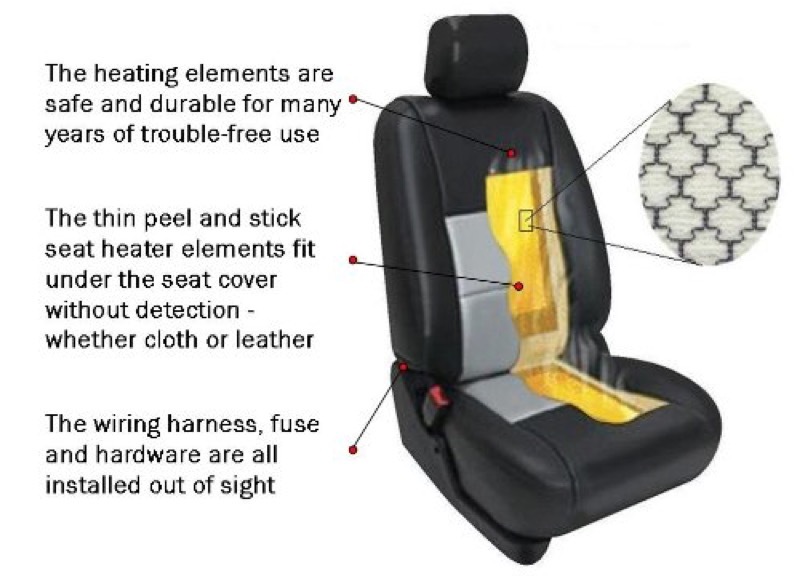 No fear – our installation technicians are the best in the area, and they have extensive experience with installing seat heater kits. If you are interested in having seat heaters installed in your vehicle, bring it to our store so a member of our sales staff can examine the vehicle. Some seats have cloth, synthetic or leather upholstery that is bonded permanently to the cushion foam. 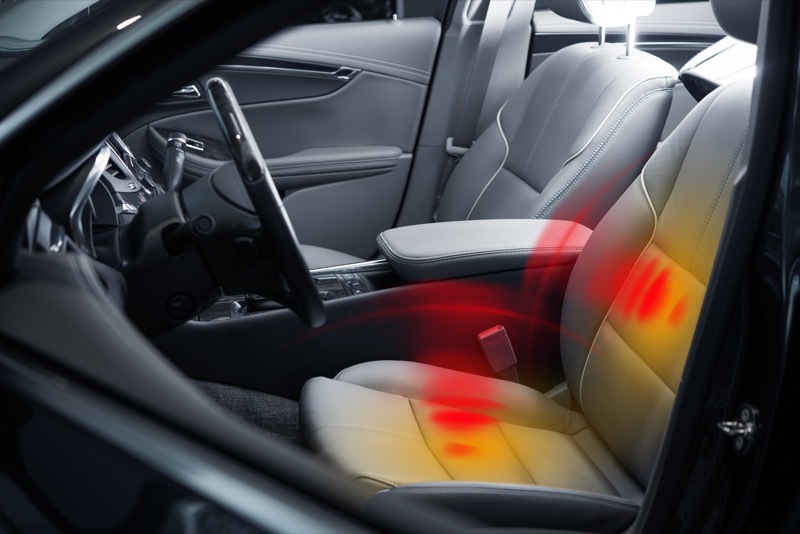 Many passenger seats incorporate occupant detection sensors. 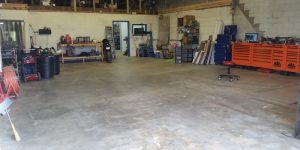 Our staff will check your seats for these criteria and more before we give you an estimate on the work. 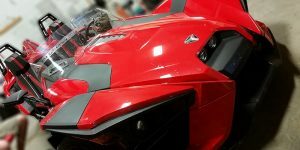 When we work on a vehicle, whether for an audio or navigation system, a remote car starter or the installation of heated seats, our technicians are always fanatical about how and where we run wiring, and how we make electrical connections. We make each and every connection both mechanically and electrically secure, which provides decades of reliable performance. We protect all our wiring against damage from sharp or moving objects under the dash. Taking a few extra minutes to do an installation properly isn’t a reward for our clients – it’s an expectation. If you have added, or are considering adding, a remote car starter to your vehicle, then ask us about adding seat heaters. You can turn the seats on when you leave your vehicle and they will start warming up later, as soon as you activate remote starter. That extra few minutes of warm-up time makes a big different to your comfort. If you have leather seats, seat heaters make an even more significant difference. Stop By Today To Learn More About Heated Seats! 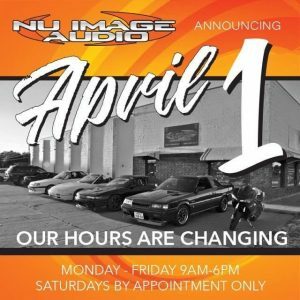 Bring your vehicle to Nu Image Audio in Salina, KS, and ask about adding seat heaters. There is no better way to make your car comfortable in the winter. We can do the driver’s seat and front passenger seat(s), and even install them in the rear seats for you. For more information, contact us by e-mail here.